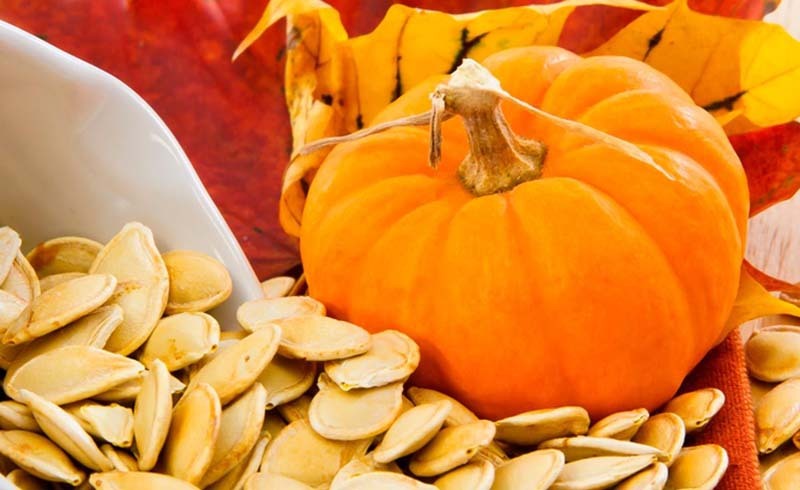 Whether you’re planning on baking delicious, spiced pumpkin pie, creating fall decorations, or just carving the best Lack-O Lantern on the block, you’ll likely be left with a pile of pumpkin seeds. So why not get ahead for next year’s harvest and save some for planting next spring? 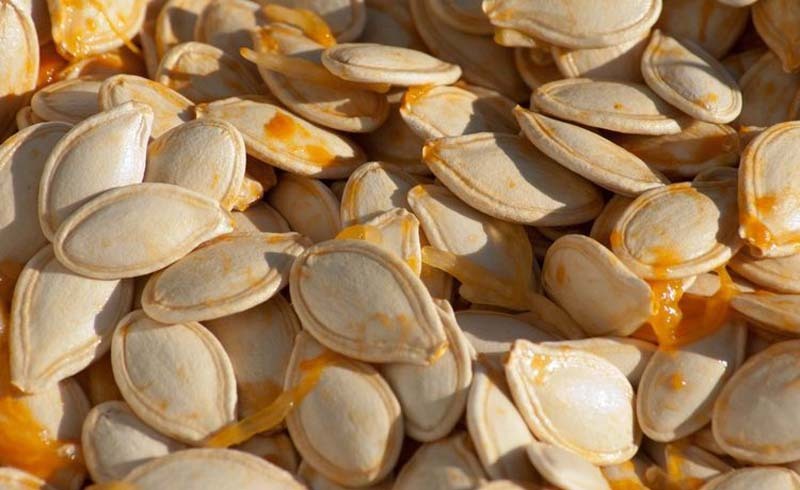 Here’s our foolproof guide to saving pumpkin seeds. First, remove the seeds from inside the pumpkin. A metal spoon is great for this. You might have to scrape some flesh out with them, but that’s okay. Next, put the seeds into a sieve or colander and wash them under running water. Gently rub any flesh or stringy bits off the seeds as you go. You certainly won’t want to plant every seed you harvest or your garden will be completely overrun, so go through the seeds and pick out the plumpest and healthiest. This is a bit time-consuming but it’s worth it to get the seeds most likely to germinate well and grow the best. Spread the seeds out on absorbent paper (paper towels are ideal) and make sure they don’t touch each other or they won’t dry properly and they’ll stick together. Put the seeds somewhere warm and dry for about a week. Once they’re totally dry, seal the seeds in a paper envelope (a plastic bag will hold moisture and could affect germination). And don’t forget to label the envelope! You think you’ll remember what’s in it, but you really won’t by next year! Store the envelope in a dry place. Some people like to store theirs in the fridge to simulate winter. Put the envelope in a plastic container, punch a few holes in the top to let moisture out, and store the container at the back of the fridge until spring. Then simply wait until the temperature starts to climb and the sun makes an appearance, and you’re good to go with planting another batch of pumpkins.